A salad can make a great meal, but not all salads are created equal. Just because it has lettuce as its base or “salad” in its name doesn’t automatically make it healthy, and many salads at fast-food restaurants are examples of that. You’re better off avoiding salads topped with fried meats (often sold as “crispy”), croutons, or tortilla strips (which are sometimes added to taco salads)… and you’ll also want to avoid most store-bought dressings—especially the low-fat and fat-free varieties. When I eat eggs in my salad, I typically use about four of them. Be sure you are consuming the yolk portion of the eggs. 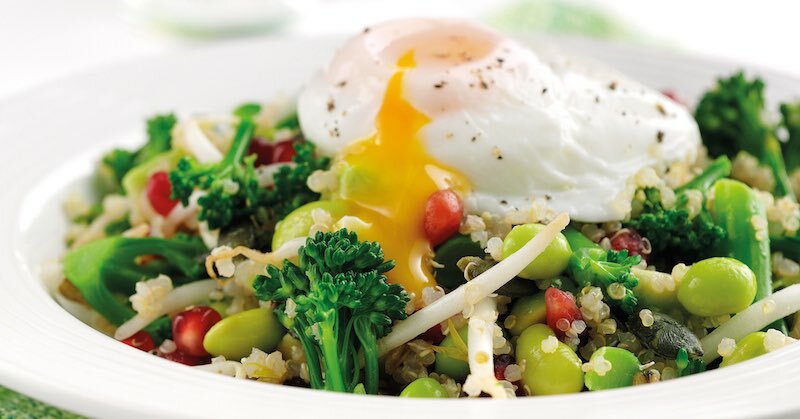 Egg whites alone won’t cut it, as it’s the fat in the yolk that’s responsible for the increased nutrient absorption. Eggs are a phenomenal source of protein, fat, and other nutrients, including choline and the antioxidants lutein and zeaxanthin. They are so good for you that you can easily eat one dozen eggs per week, which is actually a simple and cost-effective way to add valuable nutrition to your diet—provided you cook them properly. The best way to consume eggs, provided they come from a high-quality source, is to not cook them at all. Less “well done” eggs are vastly preferable, such as poached, soft-boiled, hard-boiled, or over easy with very runny yolks. It’s important to consume egg yolks that are only lightly cooked, as the heat will damage many of the highly perishable nutrients in the yolk. Two raw egg yolks have antioxidant properties equivalent to half a serving of cranberries (25 grams) and almost twice as many as an apple. But the antioxidant properties are reduced by about 50 percent when the eggs are fried or boiled, and reduced even more if they’re microwaved.2 Additionally, the cholesterol in the yolk can be oxidized with high temperatures, especially when it is in contact with the iron present in the whites and cooked, as in scrambled eggs, and such oxidation contributes to chronic inflammation in your body. 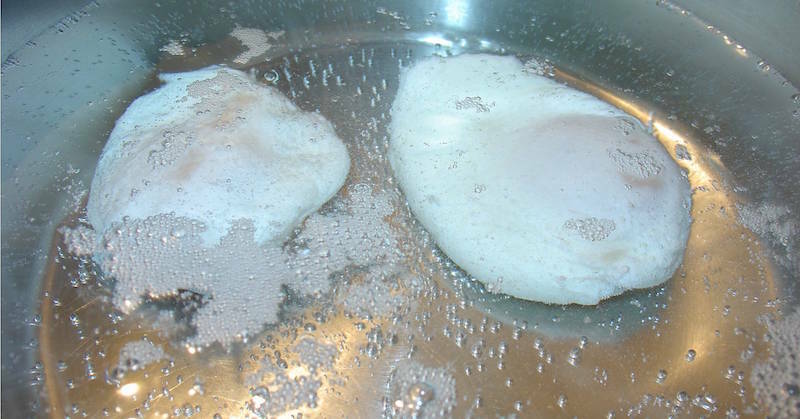 To poach eggs, you can cook them by dropping into a pot of barely simmering water, fewer bubbles means less agitation of water that can separate the egg. Crack the egg into a ramekin or small cup, then gently slide it into the water. Next, turn off the heat, set a timer to let them cook for three to five minutes. You can remove carefully from the pan with a slotted spoon. Even before you master how to cook your eggs properly, it’s important to choose eggs from a high-quality source. Free-range or “pastured” organic eggs are far superior when it comes to nutrient content, while conventionally raised eggs are far more likely to be contaminated with disease-causing bacteria such as salmonella. If you’re purchasing your eggs from a supermarket, be aware that labels can be very deceptive. The definitions of “free-range” are such that the commercial egg industry can run industrial farm egg-laying facilities and still call them “free-range” eggs, despite the fact that the birds’ foraging conditions are far from what you’d call natural. You can tell your eggs are free range or pastured by the color of the egg yolk. Foraged hens produce eggs with bright orange yolks. Dull, pale yellow yolks are a sure sign you’re getting eggs from caged hens that are not allowed to forage for their natural diet.